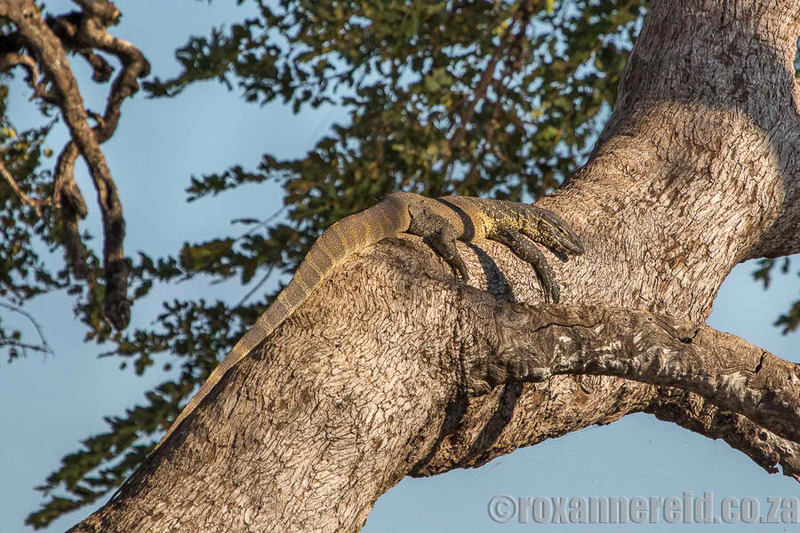 Ngoma Safari Lodge lies just a couple of kilometres from the Ngoma Gate into the western part of Chobe National Park. Even before we entered the park, we saw two elephants drinking from a leak in a water tank that serves the staff village. 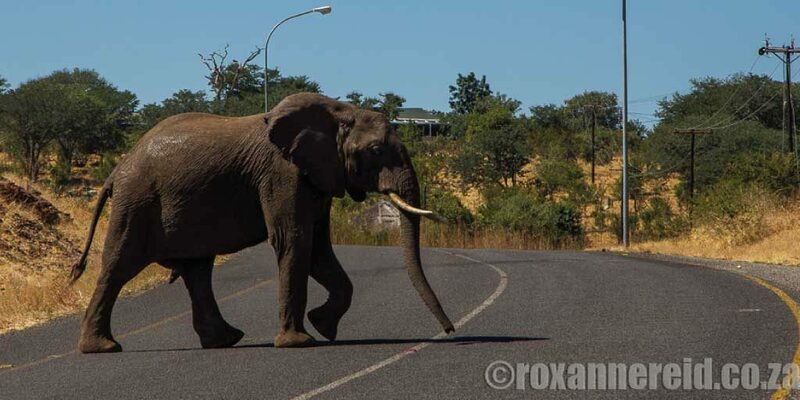 Given that the park isn’t fenced, we’ve often seen elephant in the little town of Kasane too, crossing the tar road while traffic comes to a standstill. 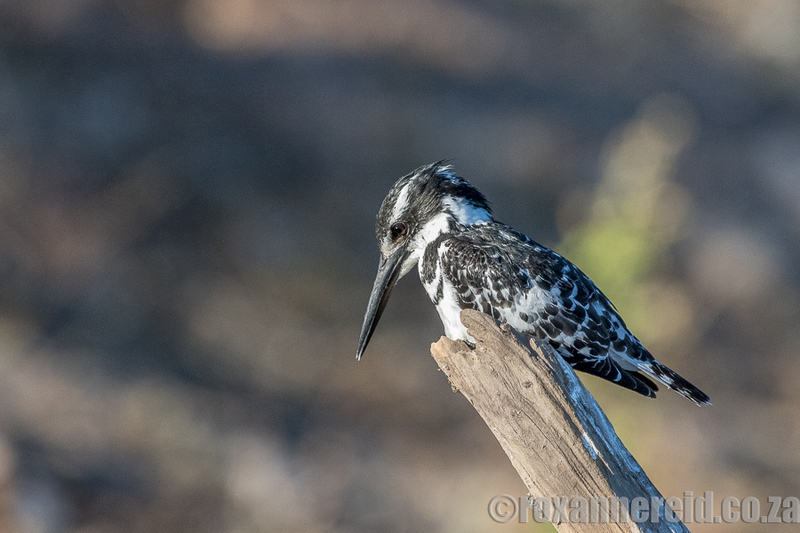 There are some 450 species of birds in Chobe and we saw lots of them, including hamerkops and African jacanas mating – not something we’d seen in either species before. Helmeted guineafowl were more interested in clumping together to keep warm in the fresh early morning air. 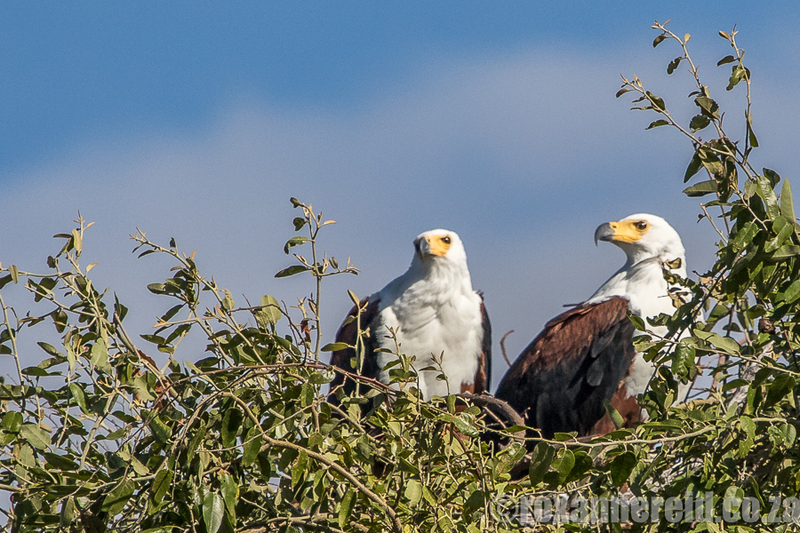 ‘When they do that, that’s when the martial eagle will take them,’ said Bevan. 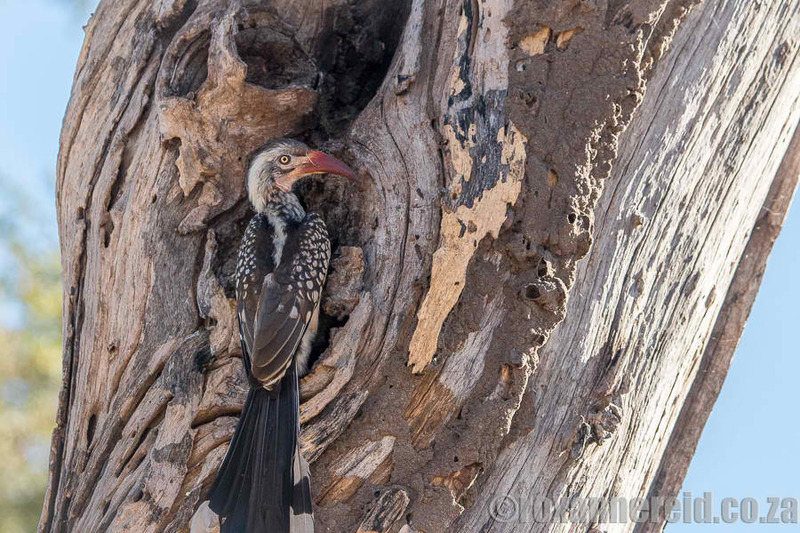 A red-billed hornbill clung to a dead tree trunk as he fed his mate and her chicks inside a hole. Bevan explained how the female strips off all her feathers to make the nest inside the hole before laying her eggs.The male brings mud in his bill to seal her in and keep her safe, leaving just a small slit through which he can feed her and the chicks. 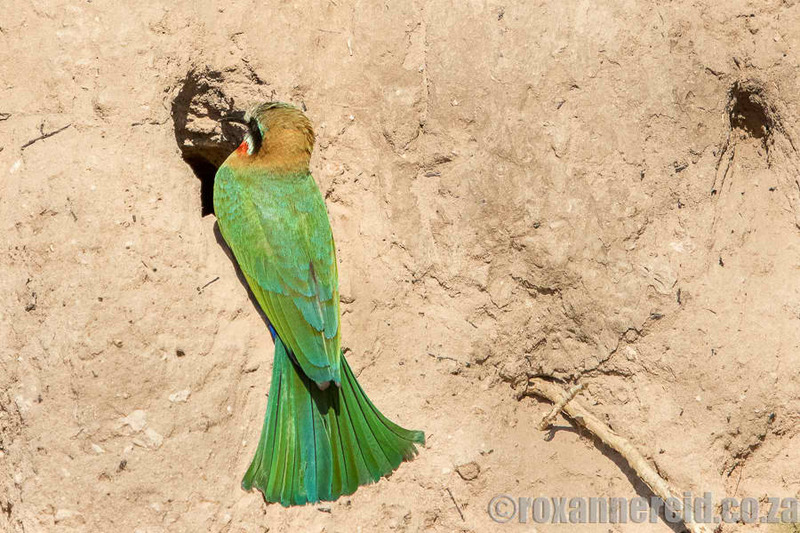 When the chicks are ready to fledge, he breaks through the mud and sets them free. Mother hornbill, her feathers now happily re-grown, also returns to the outside world and has to start finding her own food again. On the drive back Bevan told us the story of a close encounter he had with a lion when he was working as a chef for a mobile safari company. 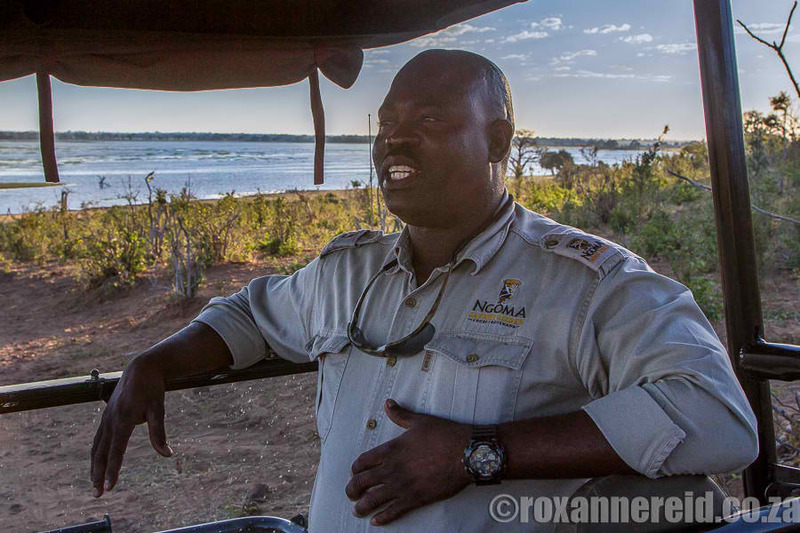 The guide had taken their guests out for a game drive at Deception Valley in the Central Kalahari Game Reserve, leaving Bevan behind to prepare breakfast.‘I was all alone and a big lion was coming straight towards the camp,’ he said. Note: I was a guest of Africa Albida Tourismfor two nights, but the opinions are mine. 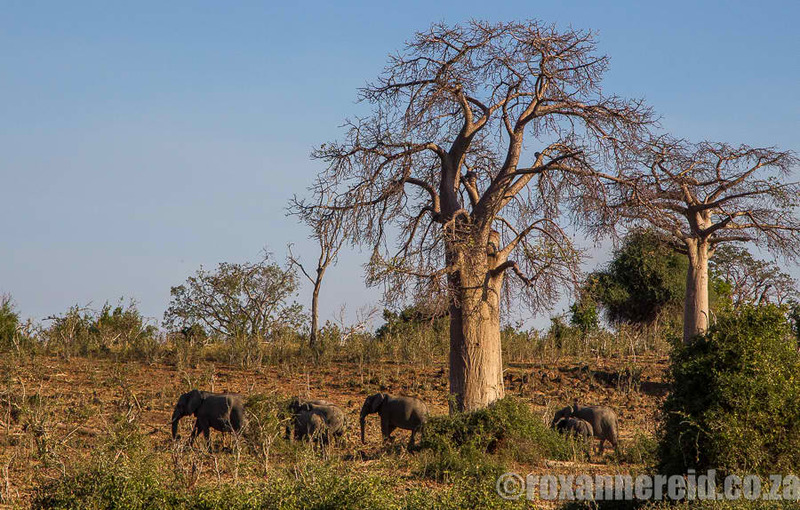 PreviousPrevious post:Starting School with a Spring in their StepNextNext post:THE BOMA – DINNER & DRUM SHOW HAS A WHOLE LOT MORE BITE!